This attractive outdoor wall-mounted mosquito trap has been designed to attract and kill disease-carrying mosquitoes without using expensive propane refills or other chemicals. Instead, it uses a 3,000-hour rated UV fluorescent bulb that reacts with the titanium dioxide coating inside the trap to emit odorless carbon dioxide (the same gas we breathe out) to attract mosquitoes. When the mosquitoes are inside the trap, a built-in fan pushes them into a removable compartment where they die of dehydration. The trap is powered by electricity and has a 10-foot cord. 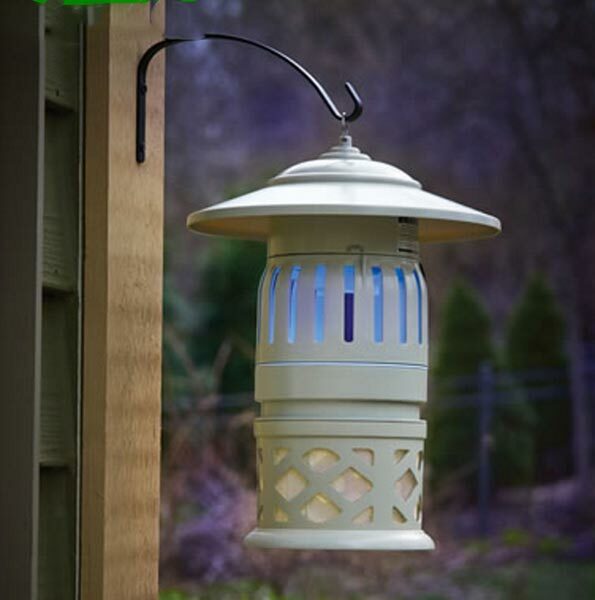 But what’s really nice about this mosquito trap is that it can cover up to 1/2 acre of your property so you can enjoy the outdoors without the annoying and potentially health risk posing insect. This mosquito trap is only available from Hammacher Schlemmer and is priced at $149.95. Replacement bulbs can also be purcashed through Hammacher Schlemmer for $14.95. Need more ideas? Check out this Best Mosquito Repellent Guide – How to Efficiently Prevent Mosquito Bites.